Rainforest Cruises are thrilled to introduce the latest addition to our selection of Amazon riverboats: the custom-designed Estrella Amazonica. 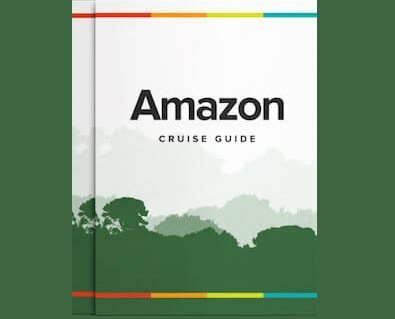 Every facet of this new riverboat – from its concept to construction – is a reflection of its operator's 34 years of expertise in Amazon travel. Using all their experience, feedback and recommendations from clients over the years, they have constructed a spectacular vessel, boasting many features and "extras" other boats in the region do not have. Of note, there are private balconies for every cabin, a multimedia lecture room, fitness center, Hobie kayaks, a nightly reception with complimentary wine and beer, and the Amazon’s largest observation deck — more than 1,000 square feet — ideal for stargazing, enjoying the spectacular Amazonian sunsets, or photographing the passing rainforest. There are also pre-dawn birding excursions, piranha fishing, cooking demonstrations and a blessing ceremony with a local Shaman. Families will love the vessel, with child discounts available for 7-18 year olds, and specially designed cabins on each deck that can be interconnected to make large family suites. Similarly, the boat will appeal to single travellers as every departure has a limited number of cabins available at no extra single supplement charge. The operator prides itself on the quality and experience of their guides and expedition leaders, some of whom have completed more than 300 Amazon voyages. Their knowledge, local know-how and eagle eyes will enrich your experience no end, providing insightful briefings and lectures, keeping you safe on your excursions into the jungle, and helping you spot even the most camouflaged of animals! What's great about this eight-day Amazon voyage is that it enables the Estrella Amazonica to navigate further - over 600 miles in fact - giving access to the deepest reaches of the Peruvian Amazon, specifically the wildlife-rich Pacaya-Samiria Reserve. This means passengers will get to explore three different habitats (varzea, igapó and terra firma), thereby having a much better chance of spotting elusive and rare wildlife, not to mention giving them longer to relax and unwind in the boat's comfortable surroundings! To find out more about her itineraries and features, please visit the Estrella Amazonica Cruise boat page. Or ask us about it, here.